﻿ ASTM A588 Corten Steel Plates, ASTM A588 Corten Steel Gr A Plates Exporter. 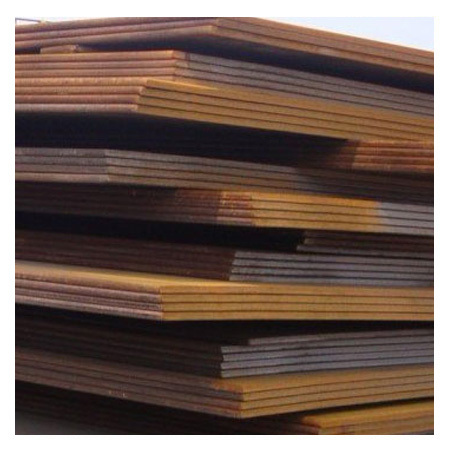 ASTM A588 Grade B Plate, ASTM A588 Grade A Steel Plate, Corten Steel ASTM A588 Plate, A588 Steel Plate Manufacturer, ASTM A588 Weathering Steel Plate, Corten Steel Grade A Abrasion Resistant Steel Plates Stockist, Corten A588 Gr B Plates Supplier. 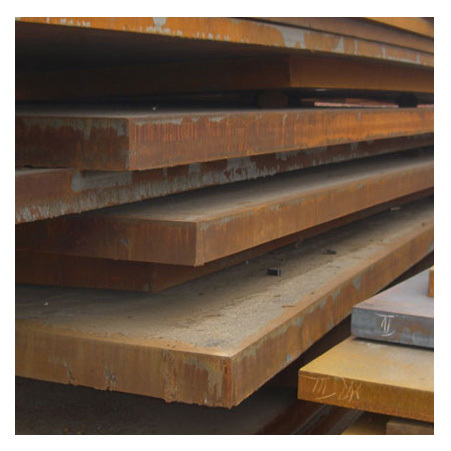 CORTEN STEEL 588 PLATES are doubtlessly the high quality of product that today has gained high popularity and used in various applications all across the globe. They are made by using high quality of raw material that is bought from reliable vendors. In the equipped industry the plates are manufactured by considering various norms and product standards like ASTM, ASME, AISI, JIS, DIN, EN etc. This item is meant for the precision industry and is available in different specifications as per the demand of clients. These are supplied to domestic and industrial clients at market leading rates. If you are seeking to get the best quality of the product, you can have the deal with Amco metals. They are highly involved in offering the comprehensive range of Corten Steel TYPE 4 Abrasion Resistant Steel Plates. They are also offering excellent quality of values added and sales after services to the esteem patrons. The product as produced of good quality of alloy is offering numerous features. These are namely withstanding heavier loads, resistance to corrosion, pitting corrosion, stress crevice corrosion cracking resistance, high tensile strength, anti-corrosive etc. Also, it is having high flexibility, high durability, longevity, etc. all these had made the product ideal choice for different applications. At Amco metals, the producers are welcoming various testing like the mechanical test, chemical test, mechanical test, flattening test, flaring test, ultrasonic test, and hardness test. The other test also radiography test, hydrostatic test, pitting resistance test etc. 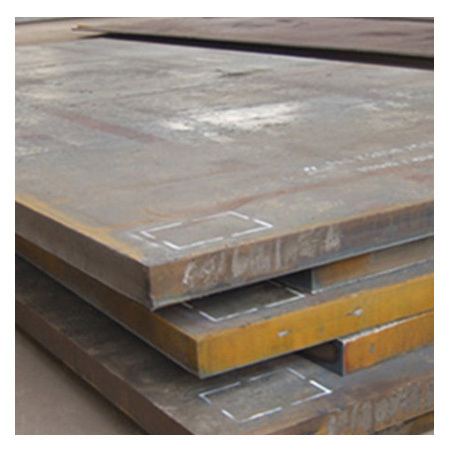 This assures the buyers of High Tensile ASTM A588 Steel Plates to effectively fulfill various application wants. ASTM A588 Grade C Corten Steel Plate, High Tensile ASTM A588 Steel Plates, ASTM A588 Corten Steel Cold Rolled Plate, Corten Steel A588 Corrosion Resistance Steel Plates, A588 Structural Steel Plates, Corten B Steel Plate Supplier in Mumbai, India. Trinidad & Tobago,Tunisia, Namibia, Macau, South Korea, Kenya, Belarus, Iran, Costa Rica, Mongolia, Singapore, Oman, United Arab Emirates, France, Yemen, Estonia, Greece, Czech Republic, Chile, Vietnam, Slovakia, Portugal, Indonesia, Nigeria, Zimbabwe, Qatar, Romania, Canada, Libya, Norway, Egypt, Belgium, Ghana, Brazil, Thailand, Nigeria, Bangladesh, Japan, Bulgaria, Sweden, Turkey, Gambia, Italy, Peru, Malaysia, Serbia, Tibet, Iran, Algeria, Colombia, United Kingdom, Croatia, Lithuania, Switzerland, Netherlands, India, Ecuador, Australia, Hong Kong, Chile, Angola, Russia, Philippines, Kuwait, Nepal, Austria, Sri Lanka, Poland, Ukraine, Saudi Arabia, South Africa, Kazakhstan, Finland, United States, Germany, Bahrain, Pakistan, Taiwan, Hungary, Morocco, Azerbaijan, Argentina, Mexico, Mexico, Jordan, Israel, Venezuela, Poland, Bhutan, Puerto Rico, Iraq, China, Denmark, New Zealand, Ireland, Afghanistan, Gabon, Bolivia, Lebanon, Spain. Pune, New Delhi, Visakhapatnam, Ahvaz, Hong Kong, Chandigarh, Montreal, Moscow, Istanbul, Faridabad, London, Riyadh, Port-of-Spain, Al Khobar, Milan, Jakarta, Jamshedpur, Sydney, Rio de Janeiro, Jeddah, Abu Dhabi, Ludhiana, Secunderabad, Dubai, Colombo, Brisbane, Atyrau, Mumbai, Caracas, Kolkata, Sharjah, Los Angeles, Indore, Geoje-si, Nagpur, Santiago, Ankara, Algiers, Melbourne, Ahmedabad, Madrid, Petaling Jaya, Houston, Baroda, Kuwait City, Ho Chi Minh City, Perth, La Victoria, Bengaluru, Manama, Kuala Lumpur, Rajkot, Seoul, Pimpri-Chinchwad, Gurgaon, Hyderabad, Vung Tau, Busan, Toronto, Chiyoda, Howrah, Bangkok, New York, Ranchi, Calgary, Al Jubail, Noida, Dammam, Ulsan, Coimbatore, Ernakulam, Vadodara, Kanpur, Courbevoie, Navi Mumbai, Karachi, Surat, Jaipur, Thane, Bhopal, Nashik, Edmonton, Doha, Hanoi, Tehran, Gimhae-si, Bogota, Thiruvananthapuram, Aberdeen, Singapore, Chennai, Cairo, Lahore, Dallas, Granada, Lagos, Muscat, Haryana, Mexico City.